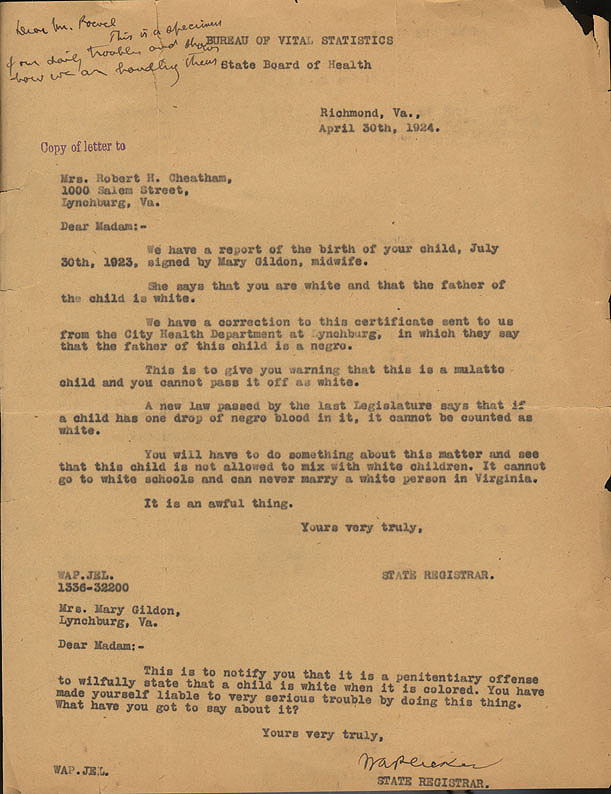 Typed letter, signed, with envelope from W.A. Plecker to John Powell. 7 June 1933. 2pp. From the John Powell Collection. 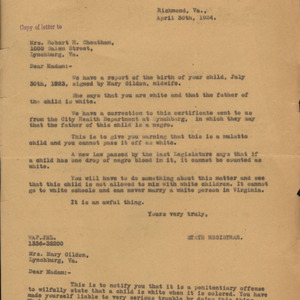 “Cheatham Letter,” University of Virginia Library Online Exhibits, accessed April 26, 2019, https://explore.lib.virginia.edu/items/show/579.